I’m writing this article in lieu of spending the morning with Sean Thackrey. You see, the awaited phone call from his New York distributor never arrived. It was the phone call that would have given me two hours of time, alone, with Sean. I had dreams of our conversation, taking it a step further from the short in-person talk we had yesterday afternoon in Manhattan’s Chelsea district. In our short time together, my perception of Thackrey was that of a true ‘wine genius’. My impression of him was of a college professor that mixes different chemicals all at once, like blending wine, and ends up with a concoction that blows you away, much like his Orion wine series. The genius behind the wines, Sean Thackrey, is self-taught and relies solely on his instinct, senses and intuition to make wine. He told me that he touches each grape and makes each bottle by hand-quite unconventional in 2017. 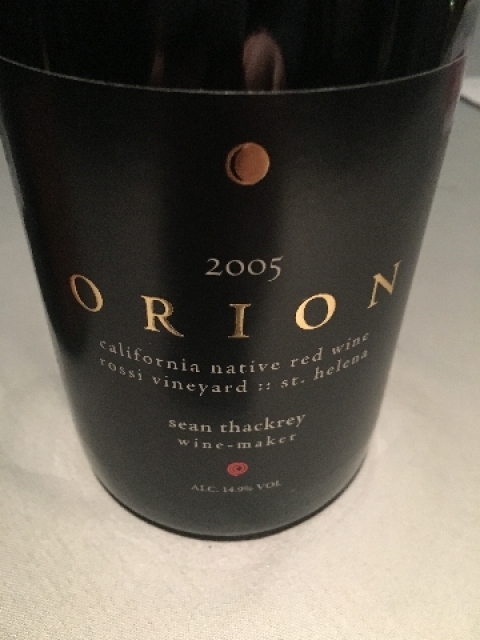 At his winery, he produces up to 400 cases of Orion, which equals 4,800 bottles. That is a feat in itself which Thackrey does not take lightly. Each bottle is a battle. 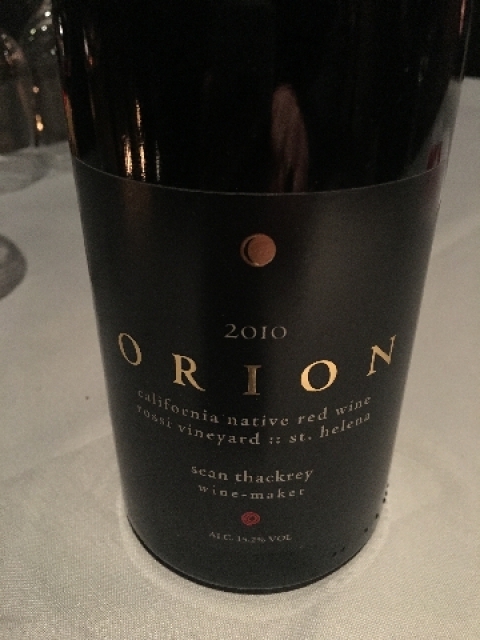 Orion is his flagship wine. Thackrey & Company Wines have been producing wine since 1981, the year of his first vintage, a Cabernet Sauvignon blend named Aquilla. Sean Thackrey- from Marin County, close to San Francisco’s Bay area, has been an influential and unconventional winemaker who lets his freshly picked grapes ‘rest’ 24 hours outside, fermenting under the stars. There is genius to his method. 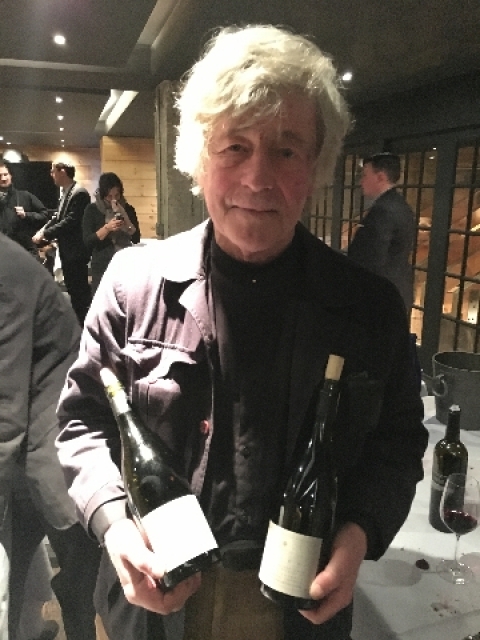 If you are lucky enough to run into the 15.2% ORION wines at your local wine shop, it will set you back close to $100 per bottle.That's a small investment with a big reward.